London: 24 December 2012 - ECR Minerals plc is pleased to announce that further to its announcement of 15 November 2012, the Company has agreed to dispose of its entire holding in Gold Crest, conditional upon, inter alia, Shareholder approval. Accordingly, on 27 December 2012 a circular (the “Circular”) will be dispatched to Shareholders. The Circular will contain notice of a general meeting of the Company to be held at the offices of Edwin Coe LLP, 2 Stone Buildings, Lincoln’s Inn, London WC2A 3TH on 14 January 2013 at 11 am, for the purpose of considering and, if thought fit, passing a resolution to approve the Disposal. The Group’s core operations are in the mineral sector and consist of exploration assets which do not currently produce any sales revenue or profits. The Group’s sales revenues in the year ending 30 September 2011 and subsequently are derived wholly from the consolidation of its shareholding in Gold Crest. For this reason, whilst the Disposal does not constitute a fundamental change in business, it does constitute a disposal under Rule 15 of the AIM Rules and is therefore conditional on the approval of Shareholders. When the Company acquired its shareholding in Gold Crest in February 2009, the metal fabrication business in ACS was performing well and the Board believed it would provide some stability and positive cash flow with which to support the Company in rebuilding itself after the collapse in October 2008 of its Meekatharra gold project into administration. Initially ACS provided a contribution to ECR’s Group overheads. However, shortly after the investment, the trading performance of ACS began to deteriorate and the business was further burdened as cash flow from its operations was used to fund deferred payments due to its former owners in respect of its acquisition by Gold Crest. More recently, as disclosed in the Company’s annual financial results published 7 March 2012 and in its interim results published 29 June 2012, ACS’s working capital position has come under further pressure, due in part to difficulties with a customer, Australian Cable Tray Systems. As a result, far from ACS being a cash generator for the Group, the Company has had to inject funding from time to time into Gold Crest and ACS to enable ACS to continue operations. Furthermore, the Board is of the opinion that ACS may require further substantial injections of funding in the future. 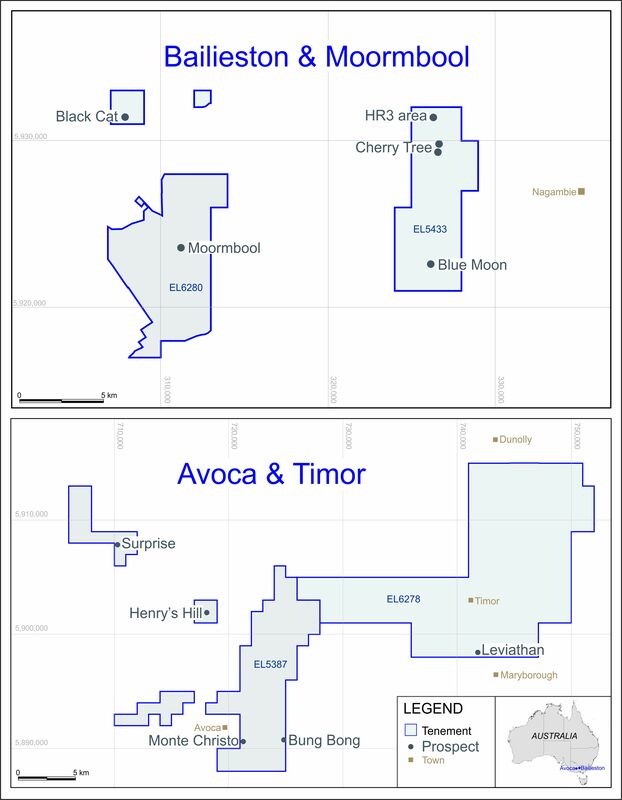 The Board has concluded therefore that continued ownership of the Company’s shareholding in Gold Crest is unlikely to provide the benefits for which it was originally acquired and, furthermore, is likely to constitute a significant diversion of management time in order to oversee the operations of ACS effectively. As previously stated, the Company’s strategy is to streamline the Group to focus on the realisation of value from its core investment positions in the mineral sector and on the operation of mineral projects, and to reduce as far as is practical its corporate overheads. The Disposal fits precisely into this strategy, by generating some cash and by reducing the Company’s debt and the interest payable thereon. It will also free up management time to focus on the Group’s core mineral sector assets. Pursuant to the Sale Agreement, the Company has conditionally agreed with Steve Iliev, an Australian citizen resident in Belgrade, Serbia, for Mr Iliev to acquire ECR’s 70% shareholding in Gold Crest, thereby gaining control of ACS, for an aggregate consideration of approximately £373,145. The Sale Agreement is conditional upon, inter alia, approval by Shareholders, and the receipt of the consolidated audited accounts of Gold Crest for the year ended 30 September 2012. The principal terms of the Sale Agreement are as follows. The payment of an initial consideration of US$75,000 (approximately £48,145), which was received in full by the Company on 21 December 2012. In the event that the Resolution is not passed, this amount will be repaid and a further payment of US$25,000 (approximately £16,048) will be due to Mr Iliev towards his costs. The purchase by the Company, for £1 consideration, and subsequent cancellation of £325,000 in nominal value of Loan Notes owned by Mr Iliev. The terms of the Loan Notes were varied on 29 September 2010, so that they can be converted at any time at the discretion of the holder into Ordinary Shares at a price of 1.1p per share. On 29 September 2010, the interest rate earned on the Loan Notes increased to 10% per annum, and the holder can elect to have such interest payments also converted into Ordinary Shares at 1.1p per share or, if lower, the average mid-market closing price per Ordinary Share for the seven business days prior to the interest payment date (as defined in the Loan Notes). Under the terms of the Loan Notes, the Company must repay their nominal value on 17 October 2013. The Company also has the right to redeem the Loan Notes earlier than 17 October 2013 by repaying the nominal value of the Loan Notes together with a sum equivalent to twice the amount of interest accrued and outstanding at the date of repayment. Interest will be payable to Mr Iliev in respect of his Loan Notes until and including the date of Completion. Amendment of the terms and partial forgiveness of a loan made by the Company to ACS, the balance of which as at 30 September 2012 was £136,070 (including accrued interest to that date). The amount of the loan is to be reduced to US$150,000 (approximately £96,290), to be repaid to the Company by ACS in four equal quarterly instalments, with the first payment of US$37,500 due within 91 days of completion of the Disposal. The loan as amended is interest free, unless the repayment dates are missed, whereupon interest accrues at 2% over the Barclays Bank base rate from the date the payment should have been made. The loan ranks as an unsecured creditor of ACS. However, Mr Iliev has given a charge in favour of the Company over 187,500 shares of US$1 each in Gold Crest, representing 17.4% of the issued shares, by way of alternative security. Assignment by the Company to Mr Iliev, for £1 consideration, of the debts due to the Company from Gold Crest, amounting in aggregate to approximately £217,665 (including where applicable any interest accrued up to 30 September 2012). Responsibility for settling the liabilities of Gold Crest and ACS will rest solely with Gold Crest and ACS following the Disposal. ECR is giving no warranties or indemnities (other than as to its unencumbered ownership of its 70% shareholding in Gold Crest) in relation to the Disposal. Set out in Part 2 of the Circular is an unaudited pro forma statement of net assets which shows the effect of the Disposal on the Group’s consolidated balance sheet as if the Disposal had occurred on 30 September 2011. This date has been chosen as it is the date of the last published audited balance sheet; the Group accounts for the year ended 30 September 2012 are still in the course of preparation. In November 2011, ECR received a £101,000 repayment against its loan to ACS (made in the initial amount of £185,000), but in March 2012 the Company made a further loan to Gold Crest of £102,000 for the purposes of providing working capital to ACS. These events are reflected as adjustments to the pro forma statement of net assets as at 30 September 2011. In the six months ended 31 March 2012, ACS contributed to the Group an unaudited gross profit of £343,132 on sales of £2,304,707. The comparative figures for the twelve months ended 30 September 2011 were a gross profit of £1,038,620 on sales of £4,953,708. However, this does not imply that funds were available for distribution to ACS’s parent companies or for the full repayment of loan balances due to ECR from ACS or Gold Crest. Furthermore, your Board does not anticipate the availability of significant funds for these purposes in the near term. As can be derived from the unaudited pro forma statement of net assets, as at 30 September 2011 but adjusted for subsequent transactions, the Disposal would have reduced the net assets of the Group by £173,495. The principal element of the Disposal consideration takes the form of a reduction in the amount of ECR’s outstanding Loan Notes, thereby, as noted earlier, reducing the Company’s third party borrowings and its interest expense. The remainder of the Disposal consideration, received in cash, will be utilised to provide additional working capital for the Group, and for the expenses of the Disposal and obtaining Shareholder approval to the Disposal. The overall consideration will, in the opinion of the Directors, create an estimated loss of approximately £250,000 when compared with the value at which the Company’s various interests in Gold Crest and ACS are currently stated in the Company’s balance sheet. The precise amount of this loss depends on, inter alia, the exchange rate at the date of Completion. The Board believes the Disposal represents the best option for the Company to extricate itself from its involvement with Gold Crest and ACS. The Circular will be posted to Shareholders on 27 December 2012 with the General Meeting being convened for 11 am on 14 January 2012. The Circular will be available on the Company’s web site from the date of posting.